Photo By Chris Mcguinness WEDDING BELLS Stacked Stone Cellars in Paso Robles has the perfect look and feel for a quintessential Central Coast wedding. Photo By Chris Mcguinness A HORSE OF COURSE This horse wasn't in the wedding party, but it wished the bride and groom the best of luck all the same. Photo By Chris Mcguinness THE HAPPY COUPLE There wasn't a dry eye in the house as this lovely couple exchanged vows surrounded by friends, family, and the beauty of North SLO County's wine country. WEDDING PIZZA Stone-fired pulled pork and potato pizza blows regular wedding food out of the water. 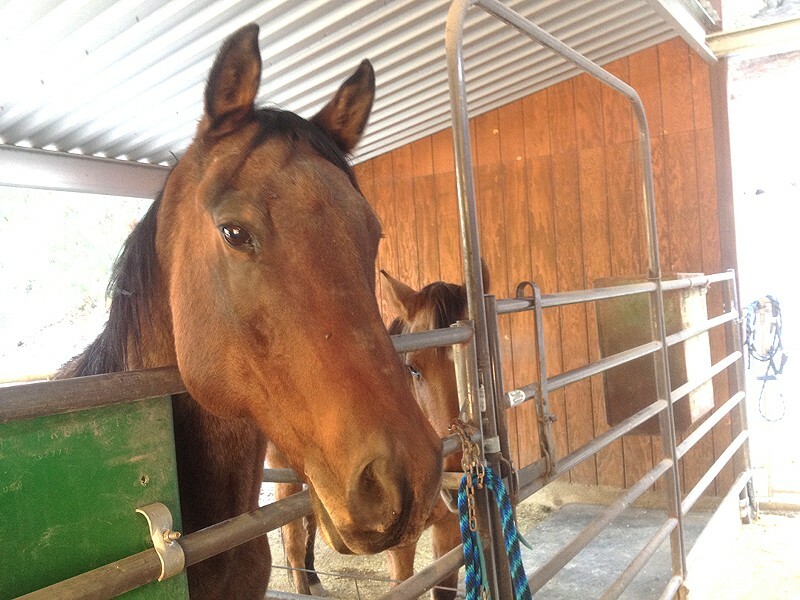 You can taste some great wine and hang out with cool horses and chickens at Stacked Stone Cellars at 1525 Peachy Canyon Road in Paso Robles from 11 a.m. to 5 p.m. on Fridays and Saturdays and from noon to 5 p.m. on Sundays. For more info, call 712-6033 or visit stackedstone.com. The first wedding guest I met after parking in the dusty lot of Stacked Stone Cellars in Paso Robles was a horse. OK. The horse wasn't actually a guest. He was more of a permanent resident of Stacked Stone Cellars, hanging out in his stall in a rustic barn next to several large and very vocal pigs. He neighed gently and stuck his nose through the corral's bars, losing interest in me after realizing I didn't have anything for him to eat. I would have tarried longer and tried to convince my new equine buddy that I was decent company even if I didn't have any food to offer him, but I'd come to Stacked Stone Cellars to do more than just hang out with barnyard animals. I was a plus one for my fiancée, who was there to see her beloved niece get married, and I was determined to be the best wedding guest I could. 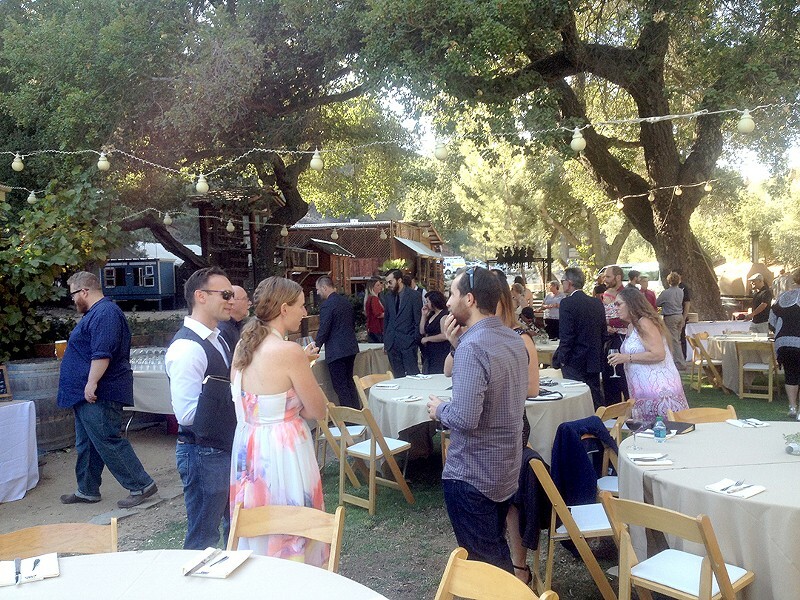 Past the barn, the guests were gathering on a beautifully manicured plot of grass under the shade of some impressively tall and ancient-looking oak trees. There was, of course, wine and beer to sip on while we waited for the ceremony to kick off. As we waited, the small children that are ubiquitous at pretty much every wedding spent their time chasing one of several chickens that were pecking around the grass. As the day began to wane, we gathered at the bottom of a column of stone steps to watch the happy couple take their vows. The ceremony was poignant, and they didn't get very far into the vows before the tears started flowing from members of the audience. Many of those who were able to keep it together for most of the ceremony lost it when, shortly after they'd kissed, the newly minted husband surprised his wife with a gift: a vintage European convertible car. It had once been owned by the bride's late father, my fiancée told me as she tried to wipe away her tears without smudging her makeup. As the guests tried to collect themselves, the reception kicked off almost immediately. More drinks were poured, and we were invited to grab some delicious pizza, made right on the spot in a stone oven. For dessert, the pizza gave way to decadent chocolate brownie sundaes. It beat the heck out of any wedding cake I've ever had. As the sun set and the DJ transitioned from subdued love songs to pop and dance music. I jumped at the chance to hit the dance floor with my fiancée, and show off some of the steps we'd learned from taking dance classes a few months back. Sadly, my well-practiced formal box-step didn't really gel with "Uptown Funk," but I'm happy to report that I avoided stepping on anyone's feet, a small miracle as far as my dancing skills are concerned. There is something special about the vibe of a Central Coast wedding, particularly when you strike the right balance between the rustic beauty of North County wine country's cowboy ranching roots and the laid-back stylishness that seems inherent in anyone who's spent enough time in California to soak up the state's chillaxed vibes. Of course, striking that note takes a lot of behind-the-scenes work. 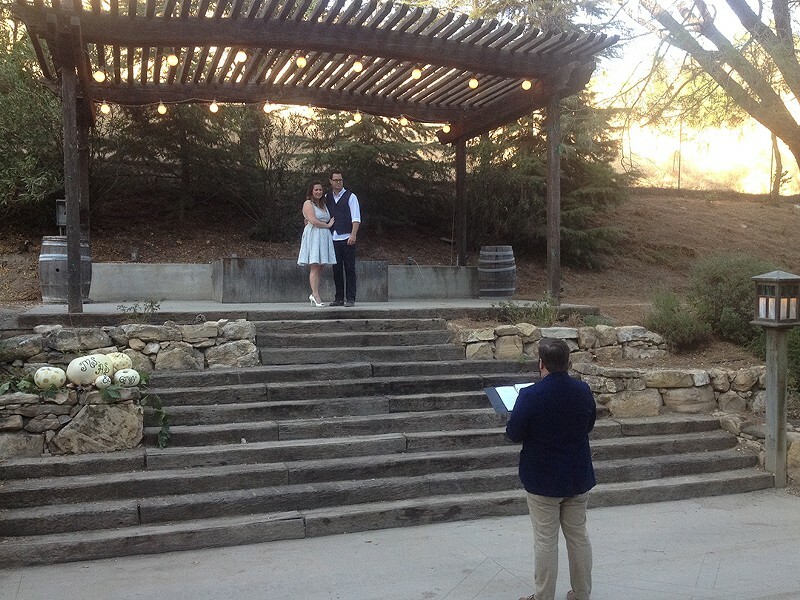 If only creating the perfect California-cool wedding was as easy as using an Instagram filter. Usually, planning a wedding, even a simple one, can take months or work and coordinating with everyone to get the food, music, venue, and ceremony just right. It might make you wonder if it's all worth it for a single day. 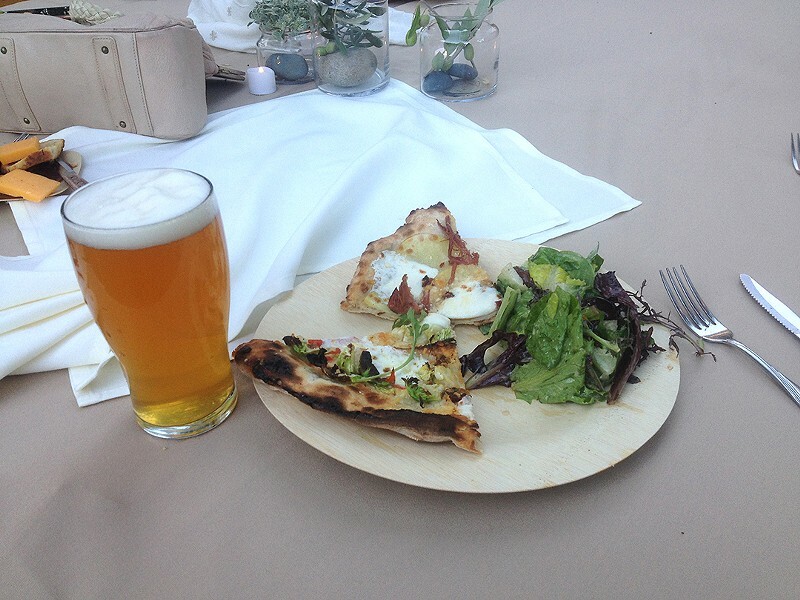 Staff Writer Chris McGuinness wants to get married while riding a horse and eating pizza. He can be reached at cmcguinness@newtimesslo.com.